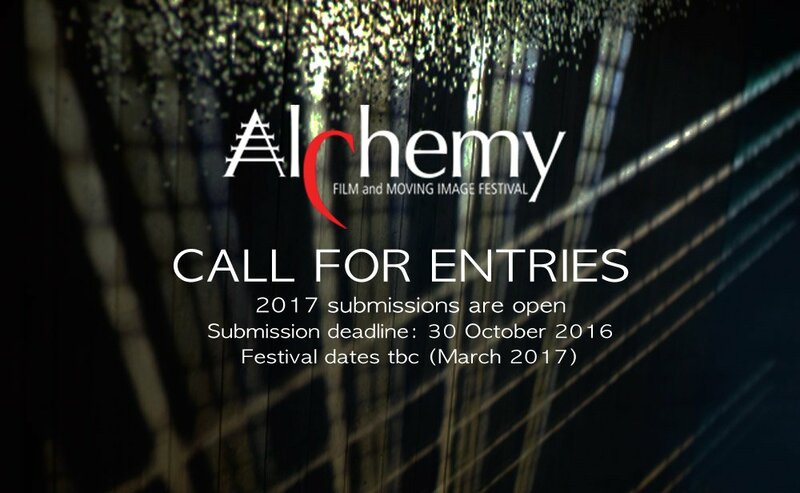 Submissions are now open for Alchemy Film and Moving Image Festival's seventh edition, to be held 2 - 5 March 2017. The submission deadline is 30th October 2016. We welcome submissions of experimental film and artists’ moving image in any format - short or feature length films, live cinema, installations or curated film programmes. Alchemy Film and Moving Image Festival is an international festival of experimental film and artists’ moving image. Submissions of artists’ and experimental film from any part of the world are welcome – we celebrate a diverse range of works: the visually experimental, quietly poetic, formally radical, psycho-geographical, politically activist, culturally subversive, psycho-spiritual, the alchemically volatile, the underground and bizarre. Conventional or commercial-style narrative dramas, animations and documentaries are less likely likely to be successful – unless they are truly original in form and content. Alchemy Film and Moving Image Festival is working toward its seventh edition. It is a not for profit venture, run as a partnership between Alchemy Film & Arts and our main venue partner, Heart of Hawick. Alchemy Film & Arts is a registered Scottish charity (no. SC042142). The next festival will take place over four days, March 2nd to 5th, 2017, in Hawick, in the Scottish Borders region of Scotland.